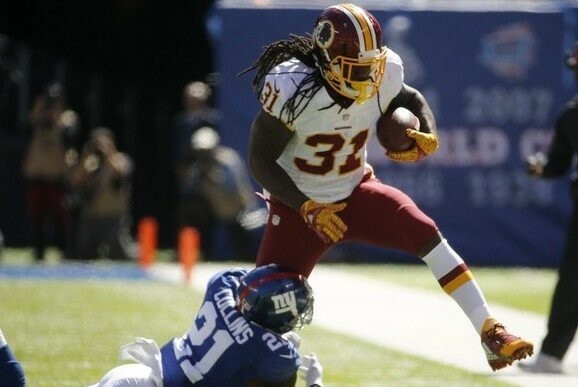 One to watch: Eagles RB Matt Jones, could he make a push for a roster spot this training camp? We’re at the final stretch folks, training camp is less than one month away. Another position that needs attention is running back and the player to watch in that position is newly acquirred running back Matt Jones. The Eagles brought in Jones after he won a workout battle against the likes of former Ravens running back Terrence West. Jones already has the fight for everything you earn mentality which can bold well for him in training camp. He’s a player who saw a lot of success early in his career but since then, he’s been plagued with injuries. In three seasons he has accumulated 964 yards and six touchdowns. He’s shown what he can do and by no means has he been able to be an successful environment like the one the Eagles present. Coming into a team that will set him up for success, he could easily be a big contributor to this team. Let’s talk about his role. Losing LeGarrette Blount to free agency, Jones can take on the power running back role. He’s a bigger back who can come in on short yardage situations. He’s also a lot faster than most people think and can catch passes out of the backfield. He’s only issue has been fumbling which is correctable if he works hard. With Jones the Eagles see a player who could bring back that physical presence. He’s a solid pass blocker, but just needs someone to bring out his full potential. For all we know, that person is Staley and head coach Doug Pederson. From everything out there right now, it seems like the Eagles are some what high on Jones, at least high enough for him to have a shot of making the roster. He’s going to be in a battle for the fourth running back spot with the likes of Wendell Smallwood, Donnel Pumphrey and Josh Adams. If Jones can turn his career around with the Eagles this camp and prove himself, the spot might be his to lose.